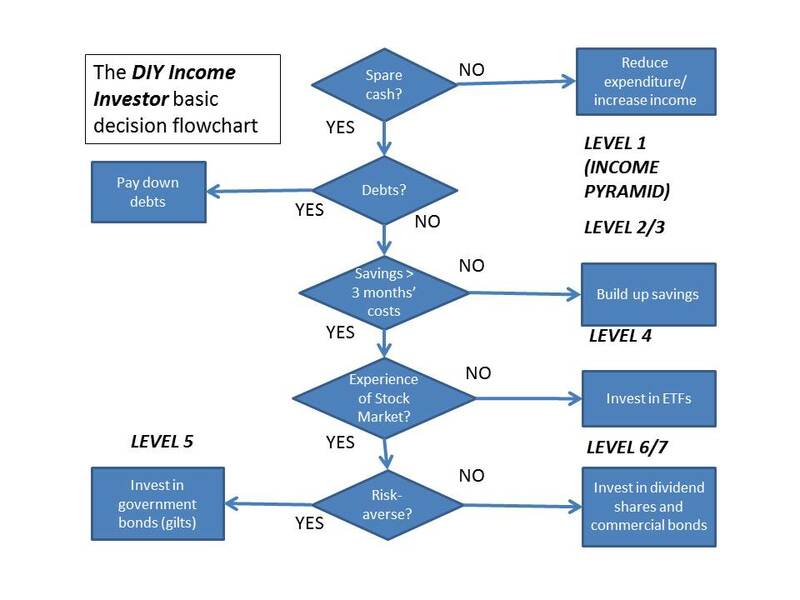 As a quick introduction to the DIY Income Investor approach I have put together a basic flowchart that (I hope) summarises the key decision points and options. 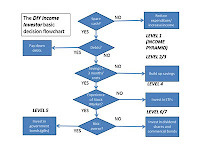 The chart also shows the links to the Income Pyramid 'Levels' - which are in effect different asset classes, in (approximate) increasing order of risk. (if so) are you in debt (including mortgage)? (if not) do you have an emergency fund of 3 months-worth of savings to fall back on? (if so) do you have experience of investing on the stock market? (if so) are you risk adverse? I think those 5 questions can broadly shape your investment choices using the DIY Income Investor approach - although it is clearly more complicated than that in real life. 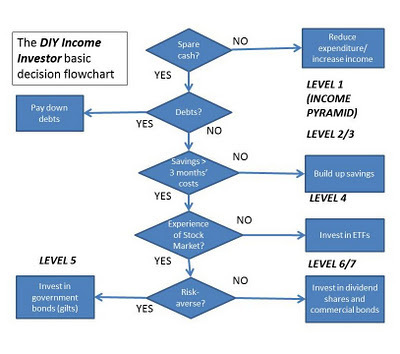 Perhaps some further - more detailed - flowcharts are needed?